Overbuilt Customs has been specializing in repair and custom modification & restoration of Jeeps, Broncos, Scouts and Toyota FJ-40’s (Landcruisers) since 2003. Along with custom CJ Jeep packages, we also provide routine maintenance, small repairs, add-ons, tire mounting & balancing, as well as oil changes. We work with you, the customer, to make sure that you love your vehicle. We have services to fit every budget and take great pride in every automobile that we build or service as customer satisfaction is our ultimate goal. Overbuilt Customs is located in Jacksonville, Florida. Select from pre-designed packages or choose to build your own add-ons. Custom Jeep builders specializing in CJ JEEP, TOYOTA 4×4 and ALL FOUR WHEEL DRIVE vehicles. Our Jeep restoration shop only installs the highest quality lift kits and suspension systems, Body Armor, wheels, tires and tow packages. We offer heavy duty axles, custom fabrication, total wrap or paint and expert engine conversions. Complete customer satisfaction is the ultimate goal at OVERBUILT CUSTOMS. We now offer customized modification packages for the iconic CJ Jeep. You can select from the Jeep model options CJ-5, CJ-7, CJ-8 (Scrambler), or we will work with you to build your own vintage Jeep CJ. Do a complete Jeep restoration with upgraded wheels and tire packages, air conditioning, roll cages, powder coated frames, rebuilt or new engines, hydro boost power disc brakes, upgraded DANA 44 Rear Axle, Spring Over Axle Suspension and much more options to choose from. 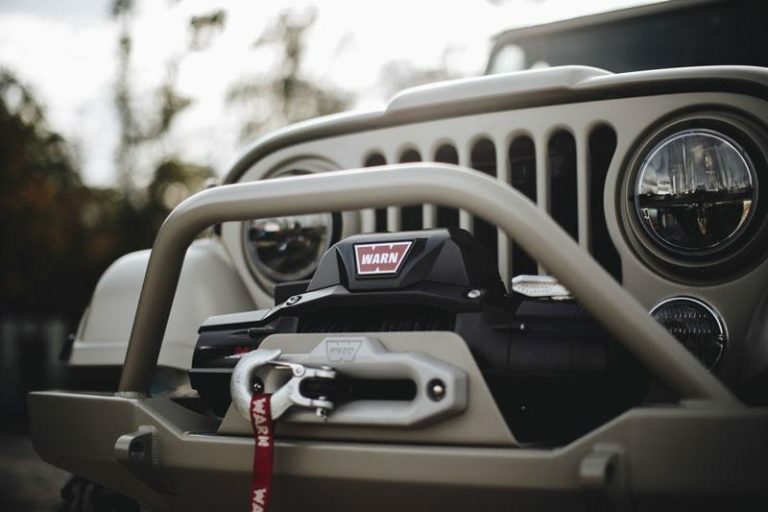 We take great pride in every custom Jeep that we build or service. Experience the thrill of owning an authentic Jeep CJ built just for you. Sustainable power, high performance and originality in this classic 80's All American Ride. Select from the Jeep model options CJ-5, CJ-7, CJ-8 (Scrambler), or restore your own classic jeep. Restoration and modifications of vintage Jeeps are our passion and we have a lot of fun and excitement building and testing them too. Watch the amazing burnout from this highly modified Jeep CJ-7, equipped with a growling Chevy 427 small block stroker. We can build one for you. Check out our custom packages and then call us to build your own jeep..